At the end of last year, I finally had the opportunity to visit the United States to visit old friends – and haunts – in Houston, St Louis and Chicago, as well as discovering new cities such as Dallas, New York and New Orleans. It was a crazy whistle stop road trip and no mistake. Having lived on both sides of the Pond, I can really appreciate the American influence on British cuisine. So much deliciousness has drifted over the Atlantic to wedge itself firmly in the psyche of British – nobody in the UK could possibly imagine a world without mouth-watering pulled pork, pillowy cinnamon buns or squidgy chocolate brownies (and blondies!). One of the best foods of all is Mac and Cheese, and although considered very much an all-American (or perhaps the American) meal, macaroni cheese has its origins firmly planted in Britain. Macaroni cheese emigrated to the US and Canada with the British settlers, but it wasn’t until the 1930s, during the Great Depression, that it really became part of American culture. Millions were starving, but one entrepreneurial salesman from St Louis, Missouri had the idea to combine nonperishable dried pasta with dried processed cheese. It could be mass produced and priced low. It was a huge hit, quickly establishing itself as the ‘American Housewife’s Best Friend’, feeding a family of four for just twenty cents. It literally saved a nation from starvation. Boil four ounces of macaroni till it be quite tender and lay it on a sieve to drain. Then put it in a tossing pan with about a gill [a quarter of a pint] of good cream, a lump of butter rolled in flour, boil it five minutes. Pour it on a plate, lay all over it parmesan cheese toasted. Send it to the table on a water plate, for it soon gets cold. 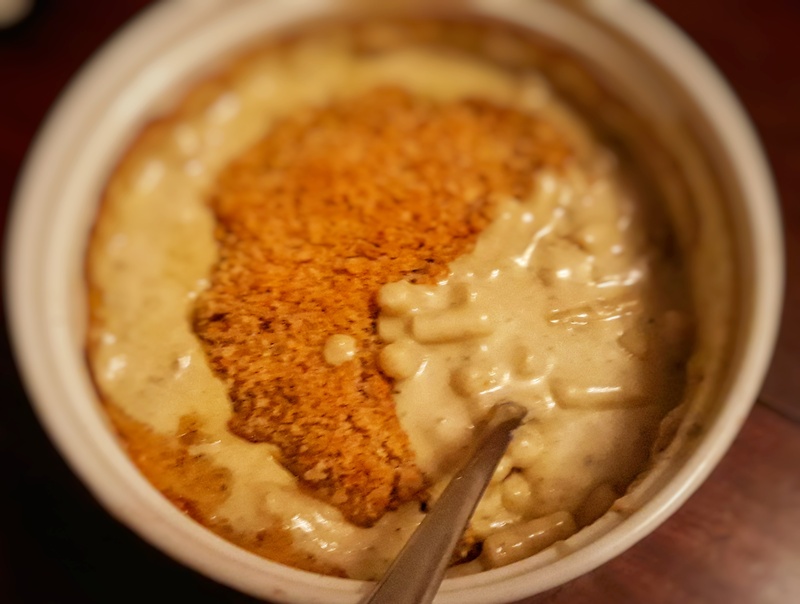 All the elements of a modern macaroni cheese: the appropriate pasta, a proto-béchamel sauce, plenty of cream and lots of cheese; perhaps surprisingly, parmesan cheese. But we can go back even further; back to the 1390s in fact, with Britain’s earliest cookbook Forme of Cury. Pasta made from breadcrumbs (I must try it sometime) cooked in a velouté sauce (like a béchamel but made with stock instead of milk), and something called chese ruayn which was a hard cheese similar in taste to brie, resulting in something half-way between macaroni cheese and a lasagne. I wonder if there’s an extant French cheese that could fit the bill if I tried to cook this dish? Take good broth and do in an earthen pot. Take flour of payndemayn [high quality white bread] and make thereof past[e] with water, and make therof thynne foyles as paper with a roller; drye it hard and seeth [simmer] it in broth. 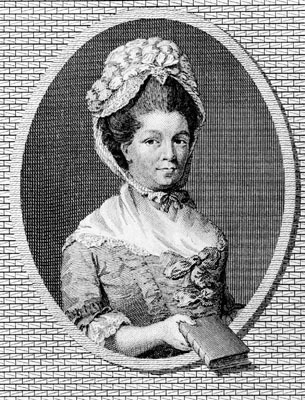 Take chese ruayn grated and lay it in dishes with powdour douce [a mix of warm spices such as cinnamon, cloves etc], and lay on the loseyns [the pasta sheets] isode as hole as thou myst, and above powdour and chese; and so twyce or thrice [i.e. layer it up], & serve it forth. This dish must have remained popular because macaroni and other pasta dishes using cheese and velouté sauce appear crop up again in Eliza Acton’s 1845 book Modern Cookery for Private Families. There is also the more familiar béchamel sauce version. What is interesting is that there is a variety of cheeses used in these recipes: Cheddar, Parmesan, Gruyere and blue Stilton all feature. I love blue cheese, so this one really stood out for me and I have adapted it below. If blue cheese isn’t your thing, replace it with another. Cheddar, red Leicester or a mature Lancashire would all work. This recipe produces a rather saucy macaroni cheese, if you prefer a thicker consistency, add an extra 50 grams of pasta. First of all make a roux by melting the butter in a saucepan. As soon as it has finished foaming, tip in the flour and mix well with a small whisk or wooden spoon. Cook on a medium heat for a couple of minutes, stirring frequently. If the roux starts to brown, turn down the heat. 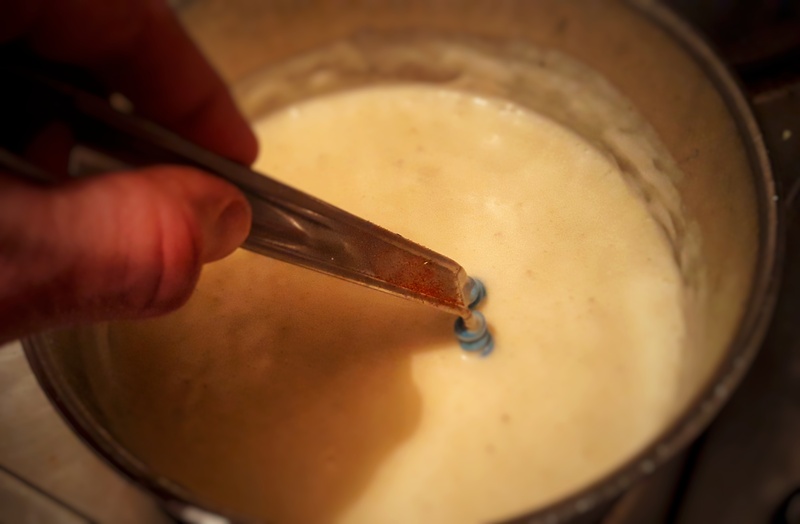 Beat in around a quarter of the milk with your whisk, adding another quarter once the first lot is fully incorporated. Repeat until all of the milk is used up. Add the cream and allow the béchamel sauce to simmer gently for around 10 minutes. Make sure you stir every minute or so, to stop the flour sticking to the bottom of the pan. Meanwhile cook the macaroni in plenty of salted water – follow the instructions on the packet and cook for two minutes less than the instructions state. Make the bread into breadcrumbs by pulsing in a food processor. If using, add the rosemary half way through the pulsing process. Take the sauce off the heat and drain the pasta. Stir in the cheeses, mixing until fully incorporated. Tip in the pasta and mix. Now season well with salt, black pepper and Cayenne pepper. Pour the whole lot into a baking dish of a capacity of 1.5 litres, or thereabouts and bake for around 20 minutes at 180°C until brown and bubbling and the breadcrumbs are well-toasted. Serve straight away with crusty bread or a rocket salad. My understanding is that Thomas Jefferson brought back the recipe for macaroni and cheese, which was one of his favorite dishes after his time in France representing the US government. Just fine some extra reading. We’re both kinda right. Don’t know which was the most successful in making it popular… it was probably a pincer movement from the mac n cheese! Thanks for this. I always thought it was British in origin, but found it difficult to persuade my American friends. Thanks for the post, and for the typo spot! My kids grew up on a macaroni and cheese recipe I got from Consumer Reports in the 1980s. It is so fast and simple because the roux makes itself. You cook the pasta, usually elbow macaroni until a bit underdone. Then you pour off only enough water to be level with the pasta. In the meantime you have grated a nice pile of whatever cheese you like, for us usually a cheddar, but it could be anything. Here is the trick. Into that pile of grated cheese you mix with your hands about a quarter cup of flour, enough to coat all the cheese. Then you just dump the floury cheese into the pasta sitting in its cooking water, stir a bit, maybe heat to cook the flour and it is ready. It is not as tasty as some recipes, but it is plenty good and so much better than the stuff in those blue boxes. Give it a try! That looks like a superior recipe – it makes Kraft Dinners with cheese powder look like WW2 rationing. Thanks man! 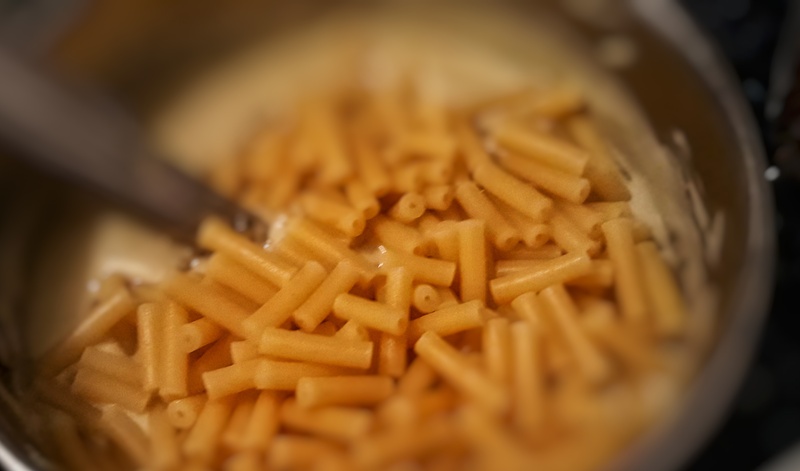 I’ve tried the Kraft dinners and I do not like… not even in a guilty pleasures kinda way! Ha ha – nor me!